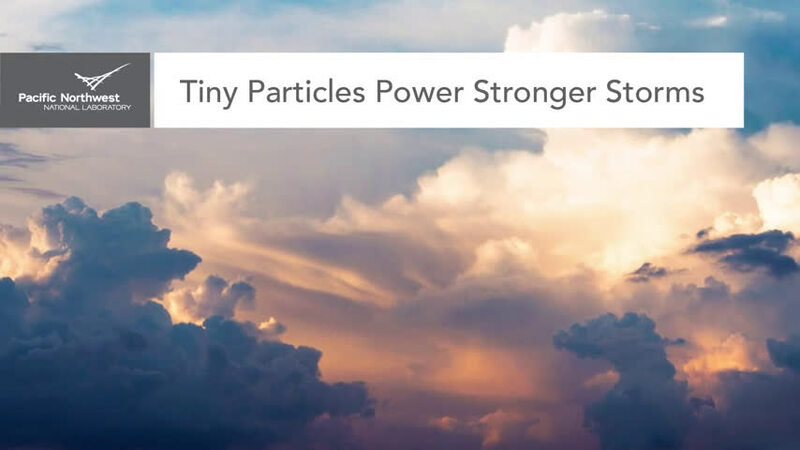 Tiny particles fuel powerful storms and influence weather much more than has been appreciated, according to a study in the Jan. 26 issue of the journal Science. The tiny pollutants - long considered too small to have much impact on droplet formation - are, in effect, diminutive downpour-makers. "We showed that the presence of these particles is one reason why some storms become so strong and produce so much rain. 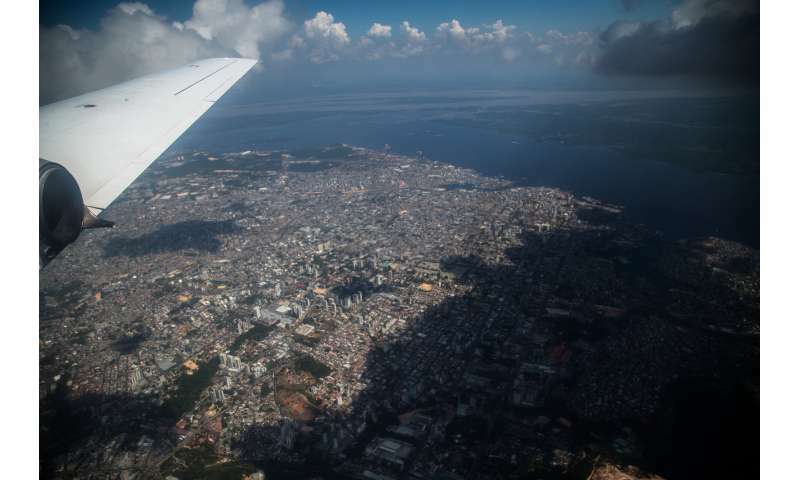 In a warm and humid area where atmospheric conditions are otherwise very clean, the intrusion of very small particles can make quite an impact," said Jiwen Fan of the Department of Energy's Pacific Northwest National Laboratory, who is lead author of the paper in Science. Fan led 21 authors from 15 institutions around the world to do the study. But scientists had not observed - until now - that smaller particles below 50 nanometers, such as particles produced by vehicles and industrial processes, could do the same. Not only that. The new study revealed that these particles, whose effects on clouds have been mostly neglected until now, can invigorate clouds in a much more powerful way than their larger counterparts. It turns out that when larger particles aren't present high in a warm and humid environment, it spells opportunity for the smaller particles to act and form cloud droplets. The low concentration of large particles contributes to high levels of excessive water vapor, with relative humidity that can go well beyond 100 percent. That's a key condition spurring ultrafine particles to transform into cloud droplets. The result: "Invigorated convection," as Fan says - and stronger storms. 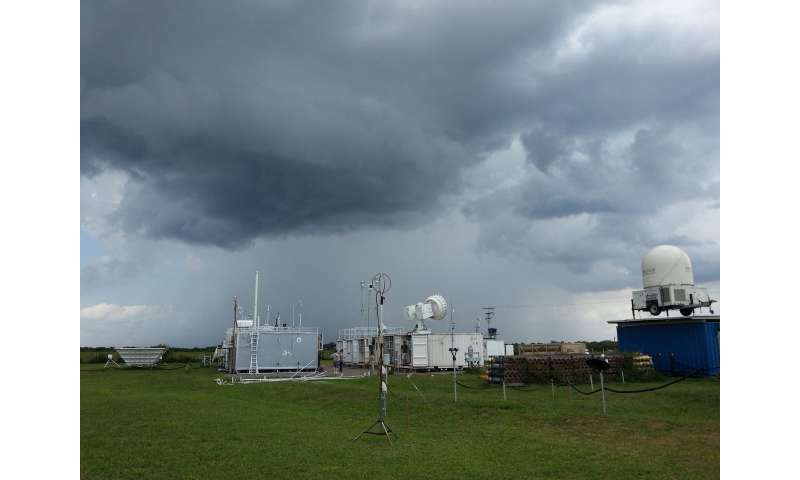 "We've shown that under clean and humid conditions, like those that exist over the ocean and some land in the tropics, tiny aerosols have a big impact on weather and climate and can intensify storms a great deal," said Fan, an expert on the effects of pollution on storms and weather. "More broadly, the results suggest that from pre-industrial to the present day, human activity possibly may have changed storms in these regions in powerful ways." Who'da thunk charged particles would affect storms and precipitation? I am curious - is there something in the article leads you to conclude that the particles it discusses are charged? "urban and industrial air pollution, wildfires and other sources." Real, this has to do with cosmic rays. Scientists have shown that cosmic rays may also have a large impact on cloud cover. And when they hit the atmosphere they create charged particles. If I had asked what the link was between charged particles and clouds, your answer would be an excellent answer – concise, accurate and to the point. However that is NOT what I asked CD. This article is specifically about particles less 50 nm across that were NOT known to influence cloud formation. CD referred to charged particles as if the article had focused on them, so I politely and specifically asked CD where CD got the idea that the particles discussed in the article were charged. Are you claiming that all particles from these sources are charged? "Under ordinary conditions a significant portion of any aerosol will be electrically charged." As questioned, "Who'da thunk charged particles would affect storms and precipitation?" But alas, who cares about facts when one has preconceived notions. Charged particles are known to influence clouds, but smaller aerosols are also known to have lower average charge, so I was curious. The 'Introduction to Air Pollution Science' reference is a excellent reference - thank you for providing it. The reference has enough detail to calculate the average particle charge. Eq. 3.11 says the average charge (relative to the charge of an electron) will be 2.37 sqrt(D), where D is the diameter in microns. For the largest <50 nm particles D= 0.05 um so the average charge is +/- 0.53 electrons, so roughly half of the largest particles have a tiny charge. Your reference also says (bottom left of p. 54) that "Unless the particles are highly charged, or the external field is strong" the effect of charged particles are minor. I checked the article and it never mentions charge. I checked the supplementary figures and they show increasing particle count with small size but it is not strong - 10 nm particles (20% with a +/-1 charge) out number 50 nm particles by only 2x, so very roughly 1/3 of the particles studied would have a +/-1 charge. A thunderstorm does have areas of strong fields, but 1 electron is a pretty small charge. The article on creating rain is interesting, and certainly supports the general understanding that charged particles influence clouds and rain, but without studying the size of the dust particles it could be just the well-known effect of larger highly-charged particles. I am open minded toward the possibility that the 1/3 of the <50 nm particles that are have a +/- one electron charge cause or dominate the intensity enhancement that the 'tiny particle' article is about, but I don't think that one should jump to it as a conclusion based on the references.